At Fey and Grey Orthodontics, you're not just a patient; you're a part of the family!  For more than 30 years, we've been providing the highest quality of orthodontic care to Bothell and the surrounding communities in a comfortable, warm, and inviting atmosphere. Dr. Kristina Grey is focused on a family-centered approach to orthodontic care. Along with our team, they enjoy getting to know patients on a personal level, focusing not only on your teeth, but also on your overall well-being. Your involvement in the orthodontic process is very important. Whether you have traditional braces, Clarity™ clear braces, or Invisalign® clear aligners, you'll be well informed about your progression toward a beautiful, new smile. Contact our Bothell, WA orthodontic office to schedule your complimentary consultation with our friendly doctor and staff. We look forward to meeting you and your family, and helping you achieve a beautiful smile for life!